Wind can be a difficult concept for young kids to understand, but there's a simple way to bring wind to life. Watch its effect on other things, such as leaves rustling on a tree, or, in this case, a sofly tinkling windchime. 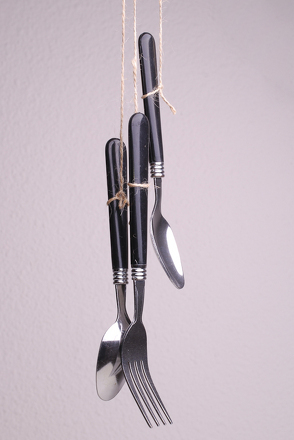 Make a simple windchime out of old silverware and any other pieces of metal you can find, and pump up the science learning by practising making scientific observations as you watch the windchime flutter. What is wind? Discuss the definition of wind with your child and brainstorm what you already know about this large-scale flow of gases. There's nothing wrong with doing a little online research if you need to refresh your memory. 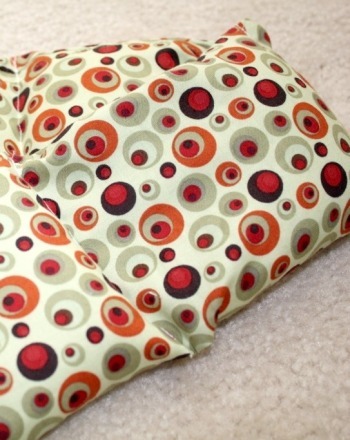 Using the round lid as your base, help your child poke holes around the edge of the lid with a hammer and nail. Be careful to space the holes no more than an inch apart. If the holes are too far apart, the chimes won’t touch, and therefore won’t make a sound. Punch one hole in the centre of the lid. Cut different lengths of twine (no longer than the distance between your fingertips and elbow) and string them through the holes, securing each string with a knot so that it can’t escape through the hole. At the end of each piece of twine, tie a piece of silverware, hardware, bells, or any kind of metal scraps you came up with. Adjust the objects and twine length until you get the appropriate sound. Hang your wind chime outside and encourage your child to listen to the melody. Observe and discuss the strength and direction of the wind, and how it affects your wind chime. Wind is an important source of renewable, green energy. The purpose of this science fair project is to build and operate a windmill generator. In this worksheet, kids learn about basic physics concepts like mass, momentum, and velocity by applying them to a popular Winter Olympics sport: slalom skiing! 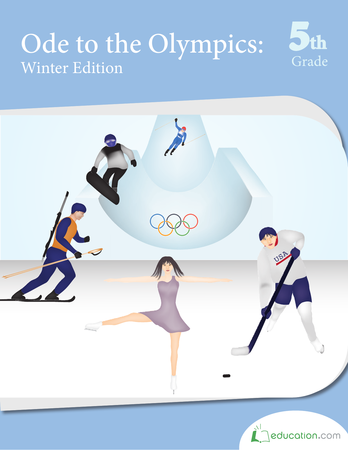 This workbook teaches kids about the maths and physics behind some of the coolest Winter Olympics sports! 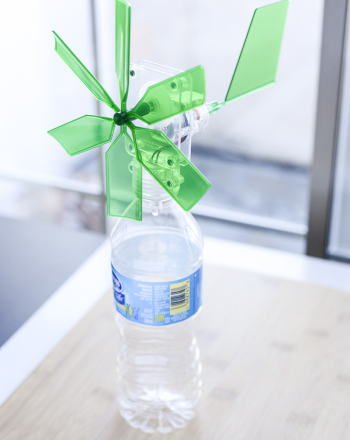 Kids solve physics problems with applied maths and conduct fun physics experiments at home. Learn a fun reading strategy and practise writing fiction summaries using a classic text. Kids can use this physics of snowboarding worksheet to learn about velocity and torque while trying out a fun physics experiment of their own! 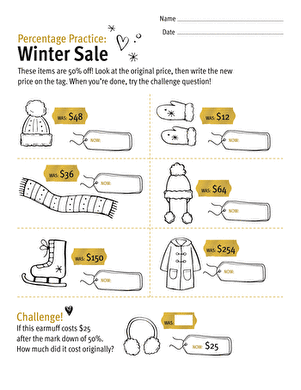 Kids find the marked-down prices of sale merchandise for a lesson in calculating percent in this year 6 maths worksheet.